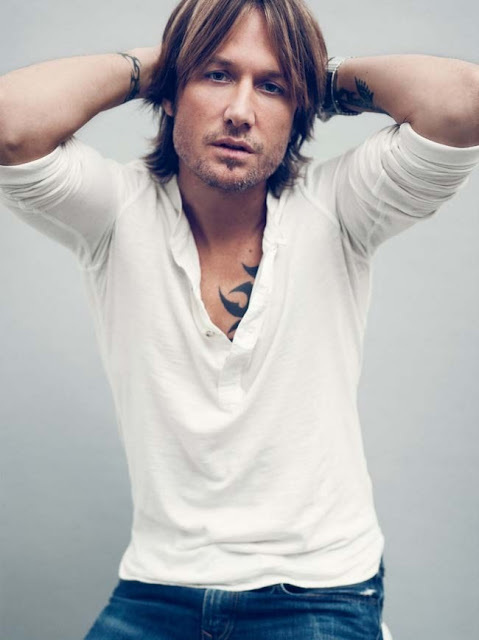 Country singer Keith Urban photographed by Beau Grealy for GQ Australia. 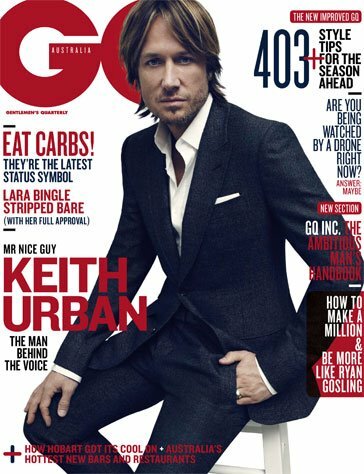 Urban's interview from GQ Australia. After years as a country music megastar in the US who was wedged under the radar back home in Australia, Keith Urban finally hit fame — as Nicole Kidman’s husband. But now, after the massive first series of The Voice, he’s a household name in his own right. Angus Fontaine hears of the rocky past and blissful present of the man who charmed millions. 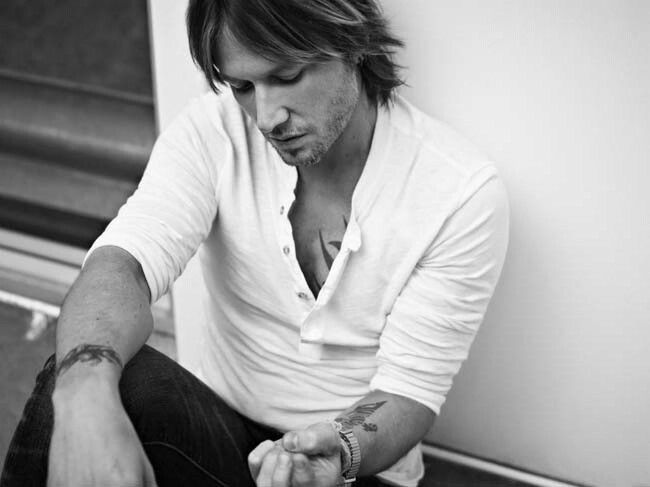 For many, Keith Urban only existed until recently as an Australian cowboy in an American setting. 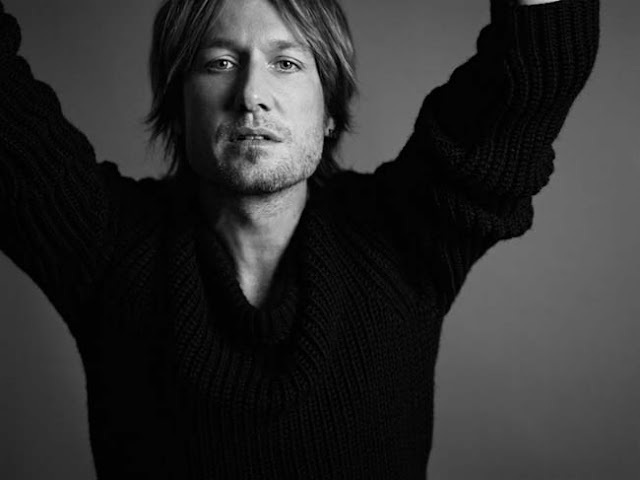 We saw his career rise — Grammy awards, chart records, millions-selling albums, mega-shows. We heard of his slide — addiction, rehab, broken engagements, too many hair and wardrobe disasters to mention. But we watched it all from afar and somehow never quite bought into it. 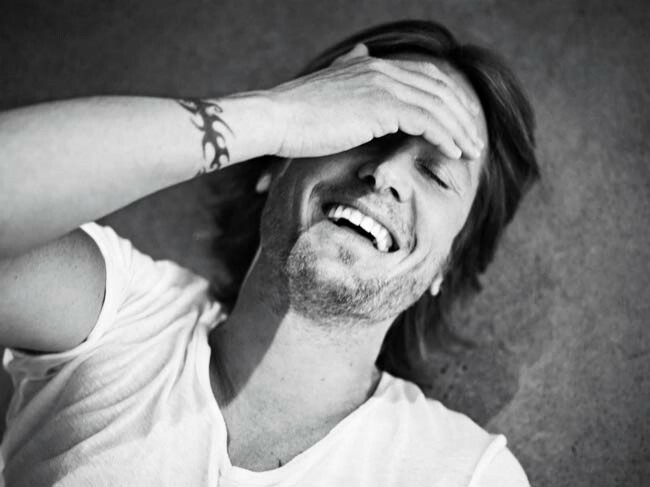 The Keith Urban myth seemed just that: a horse opera, equal parts chalk and soap for saps in the US of A. 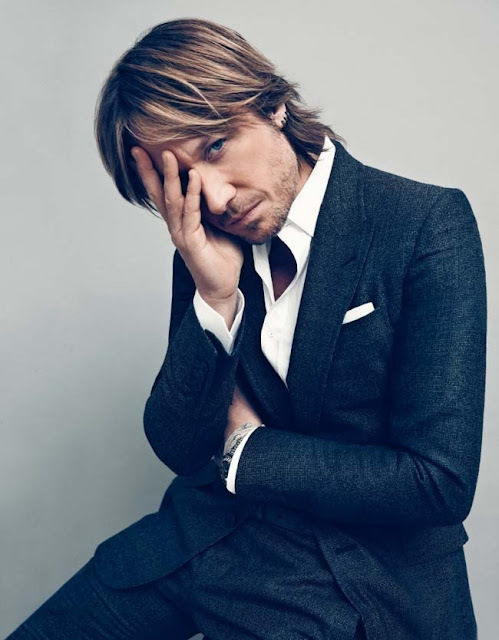 But that was before The Voice, the ratings-juggernaut talent quest that beamed 44-year-old Urban into over two million Australian households twice a week and, in three sensational months, transformed the dude once taunted as “Nicole Kidman’s handbag” into the most watched and admired country gent in the country. Today, Urban has arrived sans hat but with a herd that includes a PA, a stylist, a publicist, a nanny… oh, and a daughter. Toddling in her dad’s wake, Faith Margaret Kidman Urban, 18 months, has her own entourage: a giraffe named Sophie who, to my eyes at least, is the spitting image of Faith’s tall, pale and auburn movie-star mother. Urban slopes in and, leading Faith by the hand, unaffectedly introduces her and himself to everyone in attendance. He looks a model dad, gleaming, doting and cheerful, all winged hair tips and stubble that catches the light, a lithe, relaxed, tanned 5’10’’ figure in T-shirt and jeans.